If you haven’t already spent some time making a mess in the kitchen with sugar and flour and taste testing a few freshly baked cookies, it’s not too late! I’ll be working on my cookie baking this weekend. The hardest part will be deciding on which holiday cookie recipes to try! Who else will be baking cookies this weekend? This is a tasty collection of festive holiday cookies that will shine at any gathering. Christmas Candy Cane Cookies recipe from Home Cooking Memories. A family-favorite cookie that creates sweet holiday memories. The colorful dough is packed with plenty of festive peppermint flavor and twisted to look like a real candy cane. Always a favorite at Christmas parties and cookie exchanges. Chocolate Covered Peanut Butter Crackers recipe from Cincy Shopper. These treats are made with just 3 ingredients and are so simple to make. Perfect for a quick and easy Christmas candy treat or gift! Paleo Whipped Gluten Free Shortbread Cookies recipe from Food Faith Fitness. This is a MELT in your MOUTH shortbread cookies recipe and they are only 60 calories! Stained Glass Cookies recipe from That Skinny Chick and Bake. Your family and friends are sure to be impressed with these stained glass cookies. They’re so VERY festive! Glazed Eggnog Cookies recipe from Rose Bakes. These cookies are delicate and light and the eggnog flavor makes them perfect for the holidays! Chocolate Peppermint Blossom Cookies recipe from Flour On My Face. These little gems are a sweet chocolate and peppermint Christmas cookie everyone will love. Christmas Shortbread Cookies recipe from Somewhat Simple. These slightly sweet and buttery cookies are easy to make and only require a few simple ingredients! Raspberry Thumbprint Cookies recipe at Cooking on the Front Burner. Your holiday cookie plate won’t be complete without these buttery shortbread cookies. Double Chocolate Blossom Cookies recipe at Ann’s Entitled Life. 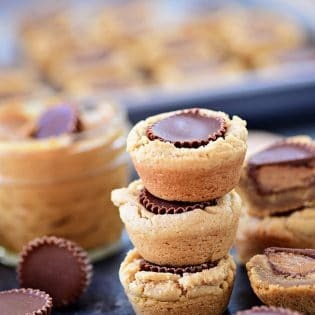 This is a wonderful update to peanut butter blossoms, and just as easy to make. Christmas Oreo Cookie Truffles recipe from Walking on Sunshine. Your family is going to love these treats and you are going to love how easy they are to make…only 3 ingredients + sprinkles! This is week 388 (7+ years) of hosting this I’m Lovin’ It linky party. Each week I feature some of the posts that caught my eye from the previous week. Please take a moment to visit the featured blogs ……..then scroll down to see what’s being shared this week. More Holiday Cookie Recipe You’ll Want to Make! Thank you so much for featuring my cookies this week! What a nice surprise! Thank you for including my Chocolate Covered Peanut Butter Crackers recipe with these other yummy cookies this week! Thanks so much for the feature this week, Cheryl. 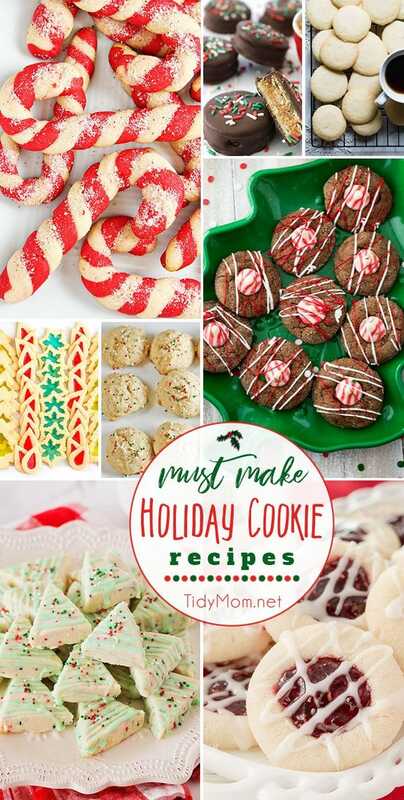 I’m just starting my holiday baking and am inspired by all these terrific cookie recipes! I hope your holiday prep is going well!